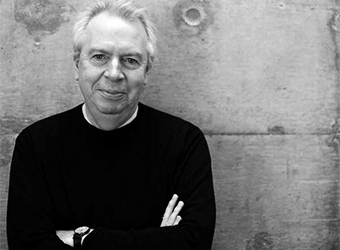 The first British architect to curate the Venice Biennale of Architecture, Sir David Chipperfield’s practice is best known for the design and renovation of museums and cultural institutions with a focus on simplified complexity and historical sensibility. 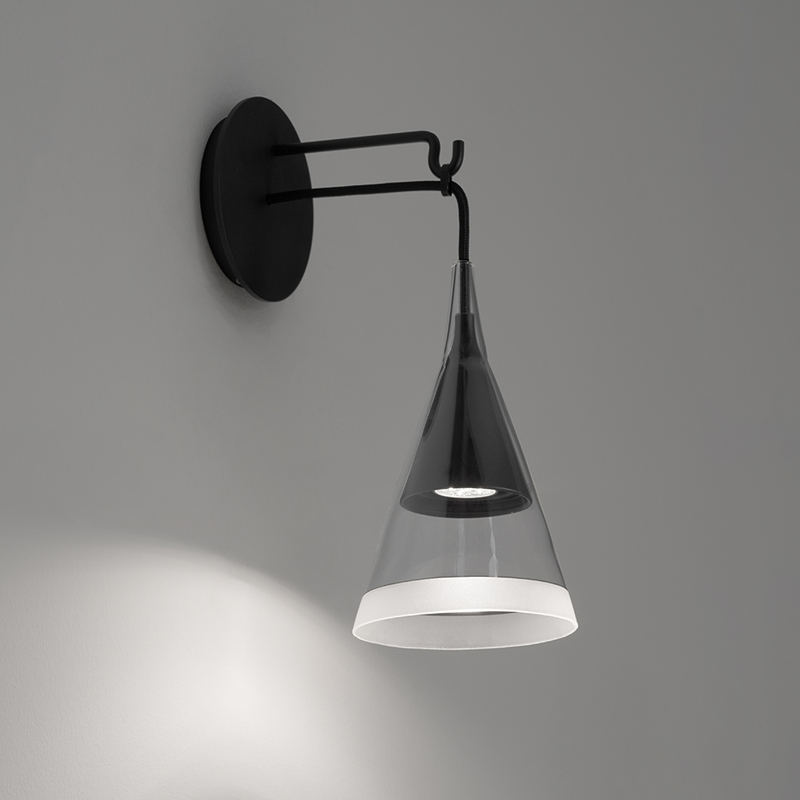 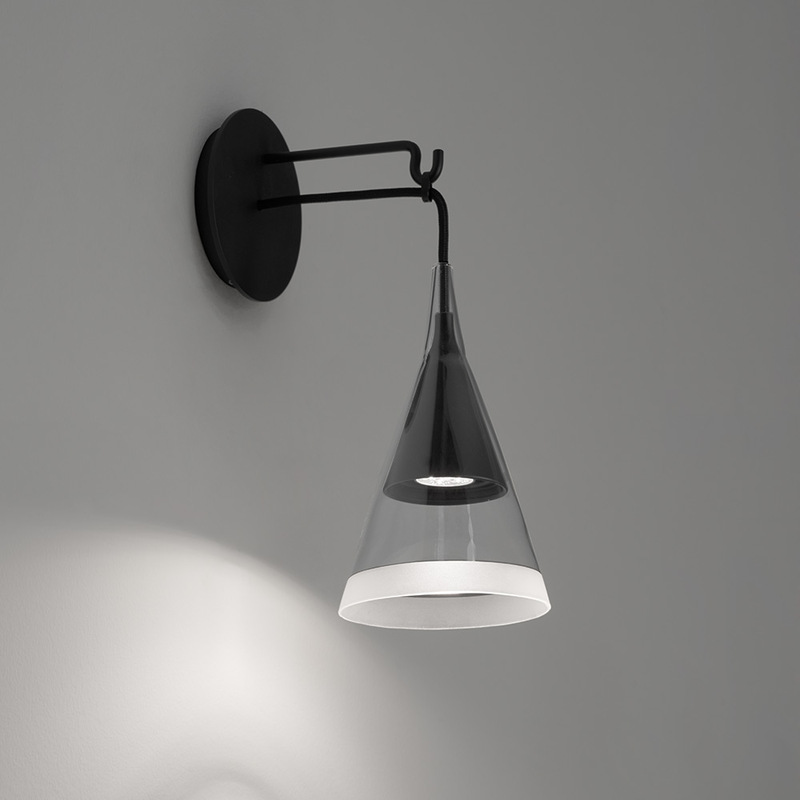 Vigo reinterprets the concept of an old-fashioned street light for domestic environment. 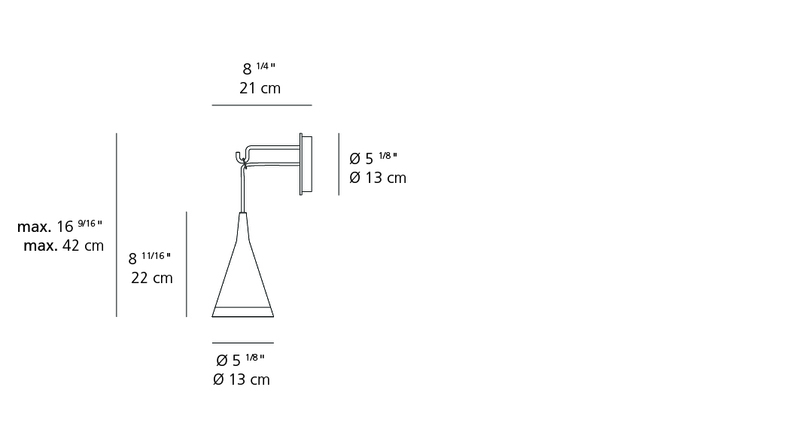 Consisting of dual overlapping cones with one placed inside and flush with its mate. 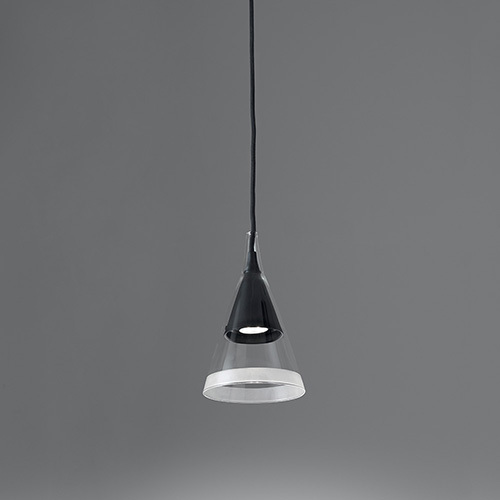 The inner cone is made of black metal while the outer is transparent, hand-blown borosilicate glass. 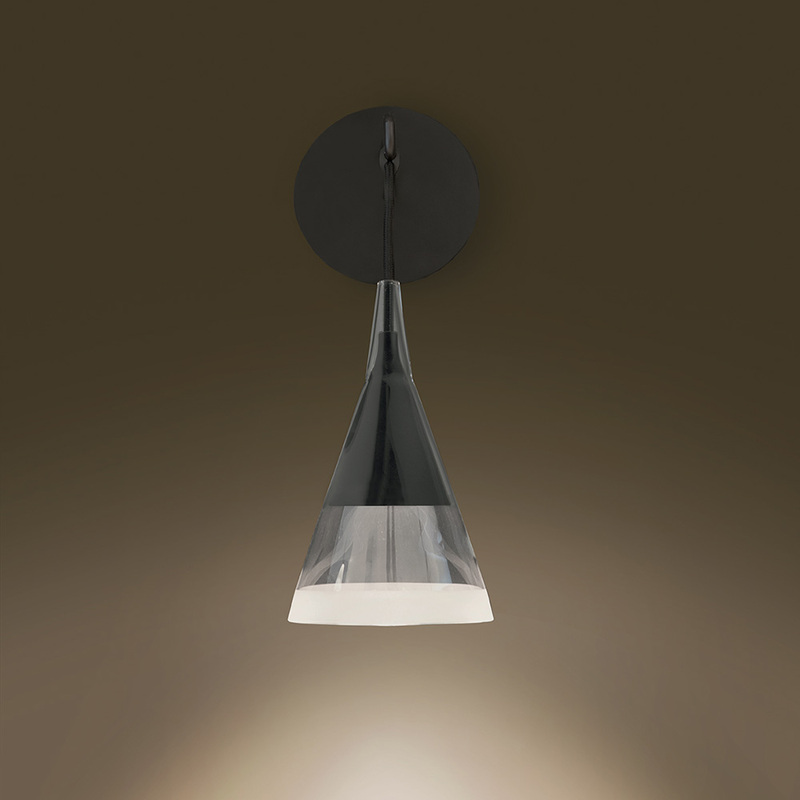 Together, the cones produce aesthetic contrast but work in unison to shape, direct and diffuse light. 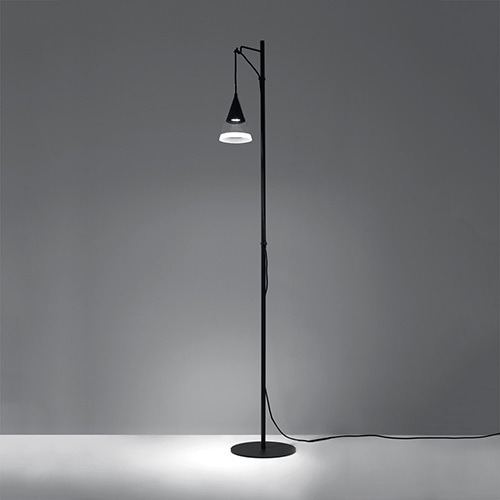 David Chipperfield’s comprehensive Vigo family includes three variations for floor, wall and suspension.